The democratic artistic movement ‘Art for All’ is honored by an exhibition at the Schirn Kunsthalle Frankfurt with Art for All. The Color Woodcut in Vienna around 1900. Through 170 works and a dozen of artists, the show evokes the often neglected phenomenon of the woodcut at the dawn of the 20th century. The color woodcut, although an important movement in Vienna between 1900 and 1910 is nowadays often forgotten behind the famous Austrian names of Gustav Klimt and Egon Schiele. The current exhibition at the Schirn Kunsthalle puts therefore a light on ‘Art for All’, that was famous for its affordability and thus popularity and participated in the shift from the ‘elite art’ to the ‘people art’. 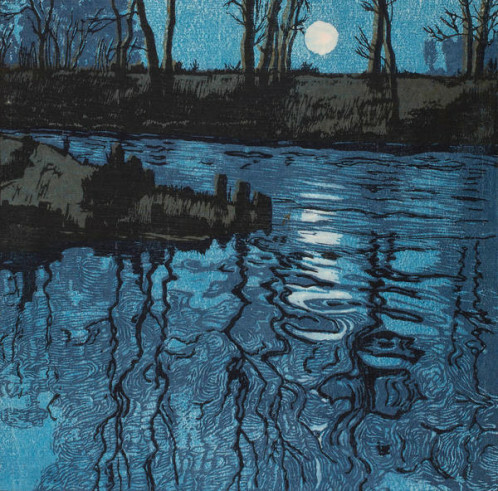 These color woodcuts are highly inspired by the reception of Japonism as shown by Hugo Hennebyrg’s Night Scene- Blue Pond, yet they are also defined by their stylistic and thematic variety. Ludwig Heinrich Jungnickel depicted animals with human manners on patterned background while Karl Anton Reichel concentrated on feminine nudes and Marie Uchatius on animal-inspired patterns. Art for All. The Color Woodcut in Vienna around 1900 is organized in collaboration with the Albertina museum in Vienna. Hugo Hennebyrg’s, Night Scene- Blue Pond, 1904. 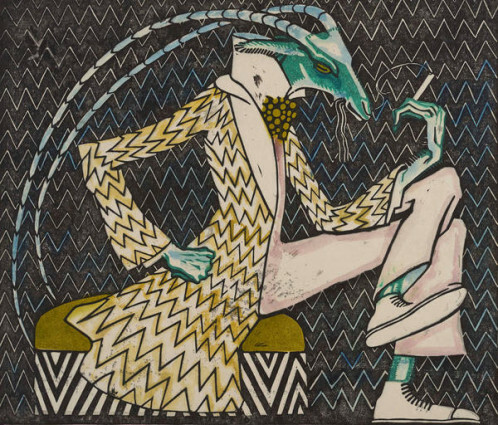 Ludwig Heinrich Jungnickel, Smocking Cricket, 1910.